Buying a property is one of life’s most stressful events (over divorce and bankruptcy). So the last thing you want is the added hassle of wading through the unknown to get your deposit bond. This checklist tells you exactly what to expect and how to prepare – you’ll be amazed how easy it is. Tools needed: Phone, internet, pen, printer, champagne. Time: Between 1 and 2 days. Step 1: Work out if you need a deposit bond. 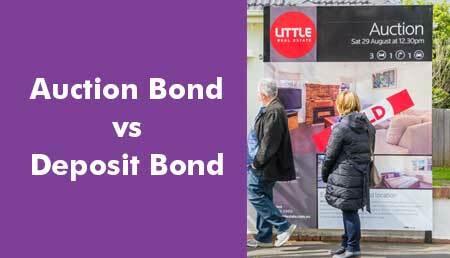 Before you apply for a deposit bond, take some time to work out whether it’s right for you. 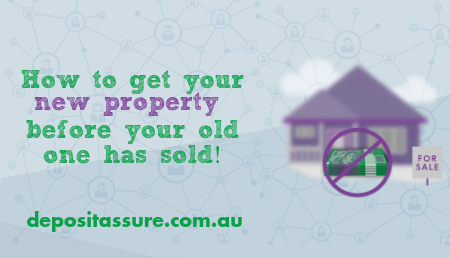 Think of a deposit bond as an IOU for the deposit amount you need to secure your property. It is a substitute for the cash deposit required between signing the contract of sale and settlement of a property. Just like a cash deposit, a deposit bond guarantees your commitment to an unconditional contract of sale. Then, at settlement, you simply pay the full purchase price, including the deposit bond amount. Reason #1. You are buying and selling at the same time, waiting on the funds from the sale. Reason #2. You’re a property investor, leveraging the equity in your home, to buy an investment property. Reason #3. You are a first homebuyer without enough cash sitting in the bank for the deposit. Whatever the reason, deposit bonds are the only option for a growing number of buyers, as they are both quick to obtain and cost-effective. STEP 2. Check with your real estate agent and vendor whether they will accept a deposit bond. Deposit bonds are becoming more and more acceptable as a way of paying your deposit, especially amongst developers. However, it’s always best to check. Most real estate agents and developers will only accept deposit bonds if they are backed by a AAA credit rated insurer. 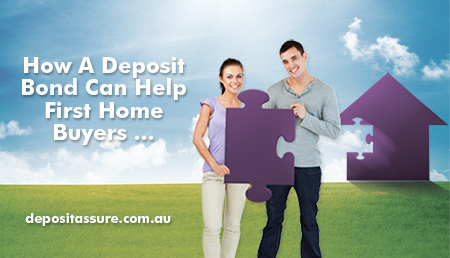 Lucky for you, Deposit Assure deposit bonds backed by QBE, which is as good as it gets. You know you want a deposit bond, and you know it’s an acceptable form of payment, so now you need to find out if you are eligible. That’s where we come in. Speak to one of our concierge officers who will assess and prequalify you within minutes. They will give you a quote for your deposit bond, so all you need to say is “go” for the application to proceed. Once you have agreed to the quote, your concierge office will start your application over the phone (it really is that easy!). You’ll need to gather a few supporting documents. 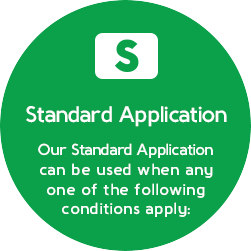 The supporting documents you need depend on your application type, so they’ll tell you exactly what you need. 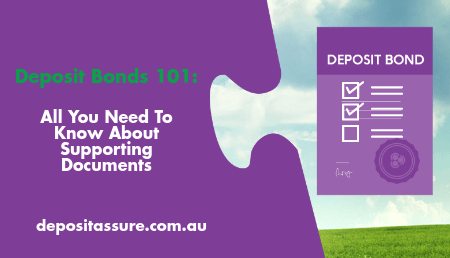 Get a head start with this Supporting Document Checklist. Next step is to grab a pen and sign your paperwork. Once you have autographed your application, email it back to the team at Deposit Assure. 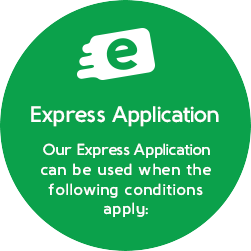 Depending on the type of application, we might also ask you to send your paperwork to us by snail mail. To save you the cost of a stamp, we’ll give you a reply paid address. They will then review and officially approve your application – this happens just minutes after we receive all the supporting documents and paperwork. If you choose a direct EFT, Deposit Assure needs to wait for your funds to clear before releasing the deposit bond. Please keep this in mind for super urgent deposit bond applications. If you choose credit card, enter your card details on the application form. The team will charge your card just before releasing your deposit bond. Curious how much it will cost? It’s less than you think – use our quick deposit bond calculator. Once approved, you and all parties involved in the property purchase (e.g. conveyancer, solicitor, broker, real estate agent) will be notified by email. We will mail the original signed deposit bond on the same day to your nominated recipient, normally your solicitor or conveyancer. Pull out the champagne, relax and wait for settlement when you will receive all the funds to complete the purchase. Cheers! #1. Do you need a deposit bond? #2. Will your vendor / real estate agent accept a deposit bond? #4. Do you have all your supporting documents? #5. Have you signed your application form? #6. Have you sent your application form? #7. Have you paid your deposit bond fee? #8. 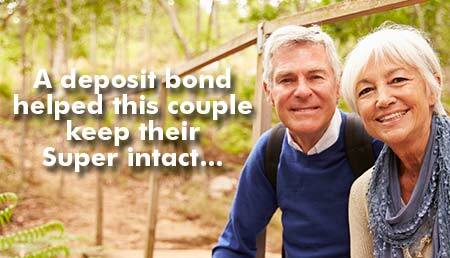 Did you and your nominated recipient receive your deposit bond? #9. Is the bubbly on ice ready for the celebration? 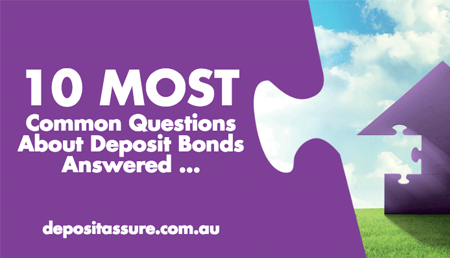 Want to talk through the deposit bond application process? Ready to speak to our team?